Hey guys, the time is drawing nearer. 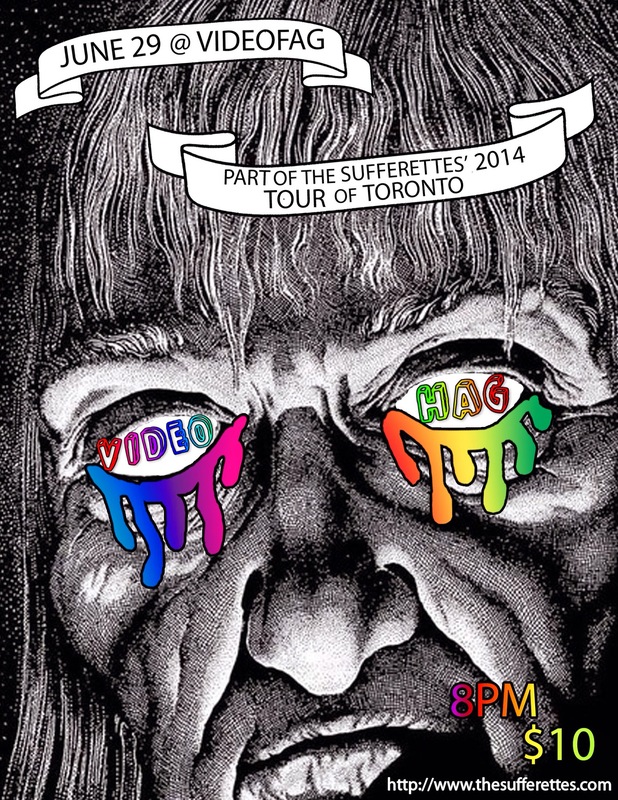 On Sunday we take over Videofag in Kensington Market to present our own stand-alone show, VideoHag. It will be an hour-and-change long show wherein we make improv up based on archival footage found and curated by our friend, Zack Russell. It's the first time we have done a show that interacts with video, so we are pretty stoked. We also want to give a huge thanks to Cheryl Hann for making the absolutely perfect poster above. Doors will open around 7:30 and tickets are available for cash at the door. Videofag is at 187 Augusta, just north of Dundas in the Market.